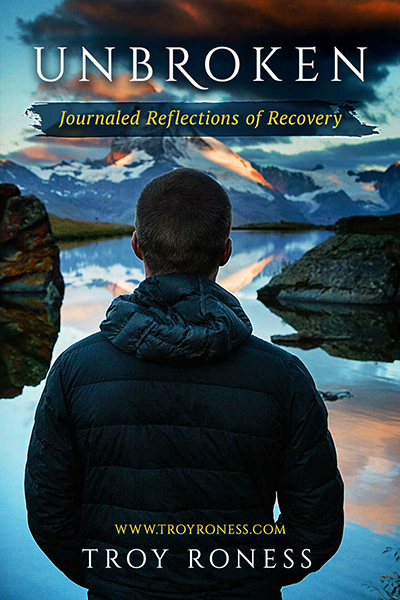 MINOT, N.D. – Minot State University teacher education and kinesiology instructor Troy Roness is hosting a signing event for his book, “Unbroken: Journaled Reflections of Recovery,” on Feb. 21 from 4-7 p.m. in the second floor atrium in Swain Hall. In the book, Roness reveals his decade-long struggle with anorexia, including compulsive exercise and body dysmorphic disorder. "Unbroken” is a deeply personal look at a Christian, former-anorexic man’s struggle with his faith, deep emotional turmoil, his life, and the journey that led to his transformation to wholeness and understanding. The struggles, insights, and triumphs shared in “Unbroken” will inspire and encourage others to reflect and embark on their own personal recovery. “The pages give the reader a glimpse into the mindset of someone who is extremely ill but, more importantly, a lens into a text that focuses on the other side of struggle, which is recovery,” Roness added. Roness is an internationally-acclaimed writer, voice, and advocate since his 2009 recovery from a life-threatening addiction to exercise and eating disorder after a guest appearance on the "Dr. Phil Show." He has been a dedicated activist and educator for eating disorders, faith, and healthy body image. Roness served as the inaugural United States Male Representative for the National Eating Disorders Association (NEDA) Junior Board and Secretary, works with the Eating Disorders Coalition (EDC), and is a featured speaker for Eating Disorder Hope. Previously, he worked with MentorConnect, U.S. Ambassador to the United Kingdom's "Men Get Eating Disorders Too" (MGEDT) Organization, NORMAL in Schools, Inc., and the National Association of Males with Eating Disorders (NAMED). For more information about the book or the book-signing event, contact Roness by EMAIL. The book is available on AMAZON in both paperback and electronically on Kindle.